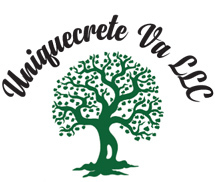 For dependable land clearing, excavating and tree services in Virginia, call Uniquecrete VA in Brandy Station, Virginia. Uniquecrete VA is owned and operated by Daniel Bennett. With more than 25 years of forestry mulching, land clearing, tree removal, tree trimming, stump grinding, and excavating in Virginia, Uniquecrete can take care of all your land clearing and arborist needs…we even do forestry mulching throughout Virginia! We offer 24-hour emergency tree services and are FEMA approved. Call us at (703) 378-2505.